Halloween is almost here! That means it is time for parties, costumes, and spooky fun! Whether it is a Halloween party at school, work, church, home, or just having tasty treats at your house while trick-or-treaters are abound, Social Pie is on it! Pizza is the best option for all your party needs! If you have a Halloween party to plan for, the last thing you need to worry about is the food. Let us help with our easy online ordering, with pizza delivered to your door (or whatever door is the start to your party)! At Social Pie, We Are Happy To Use ChowNow As Our Delivery Provider. ChowNow Makes It Simple For You To Order Your Meal And Have It Delivered In No Time! Simply Go To Our Website And Click On “Order Online” To Start Your Order. A New Page Will Open And You Can Begin By Picking Your Delivery Time. One Great Feature With ChowNow Is That You Can Order For An Immediate Delivery Or You Can Set Your Delivery For A Future Date And Time. This Can Come In Very Handy for holiday parties. Just Schedule Your Delivery And Check One Thing Off Your To Do List! Once You’ve Picked Your Delivery Time You Can Get To The Good Stuff: The Menu! We Are Happy To Offer An Array Of Options At Social Pie. And With ChowNow, Anything You Can Get In Our Store, You Can Get Delivered To Your Front Door. And We Mean Everything. Yes, You Can Order Beer And Desserts Through Our Delivery Service! Our Food And Drinks Are Delivered In Appropriate Cooling/Heating Containers To Make Sure That When You Open Your Pizza Box It Is Fresh And Hot. 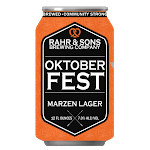 We have great seasonal beers like the FRANCONIA OKTOBERFEST Märzen (5.5% ABV) From Franconia Brewing in McKinney, TX; OAK HIGHLANDS OKTOBERFEST Märzen (5.8% ABV 24 IBU) from Oak Highlands Brewery in Dallas, TX; or RAHR & SONS OKTOBERFEST Märzen (6.7% ABV 27 IBU) from Rahr & Sons Brewing Co. in Fort Worth, TX. Try one of our amazing desserts like the S’mores Pie! We Start With Our Traditional Pizza Dough, Then We Add A Marshmallow Cream As Our Sauce. Next Comes The Toppings: We Top Our S'mores Pie Off With Chocolate Syrup, Marshmallows, Chocolate Chips, And Sprinkle It With Graham Cracker Crumbs. It is the perfect choice for any festive gathering! And of course, we have the best pizza in Dallas. Enjoy One Of Our Signature Pies Like Pepperoni, Sausage + Arugula, Meaty Meat, Texican, Or BBQ Chicken. Or Create Your Own With Our Selection Of Sauces, Meats, Cheeses, And Veggies.